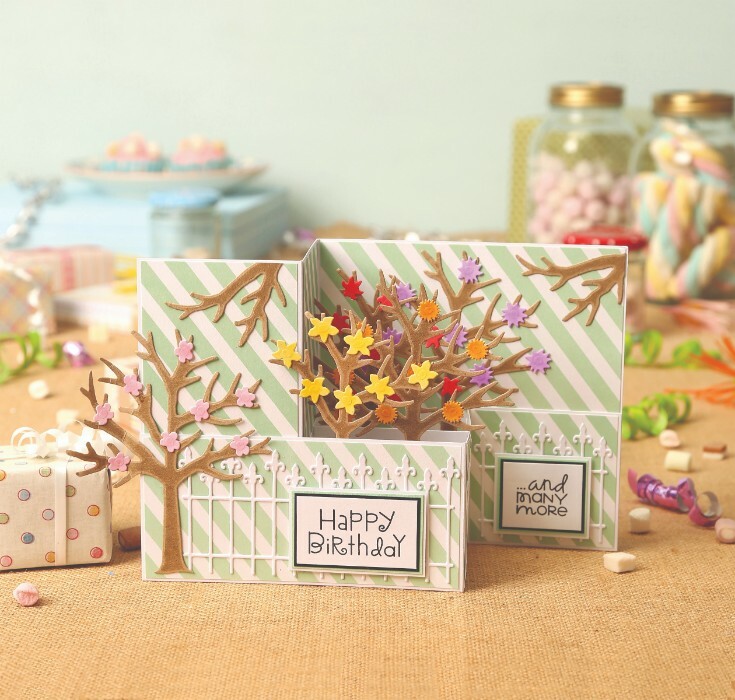 Fancy-fold cards are always show-stopping cards that will be proudly displayed on the mantelpiece, and a Z fold card is an incredibly easy fancy fold card blank to create. They can be formed using just one sheet of cardstock and very few tools – just a scoreboard, embossing tool and scissors. 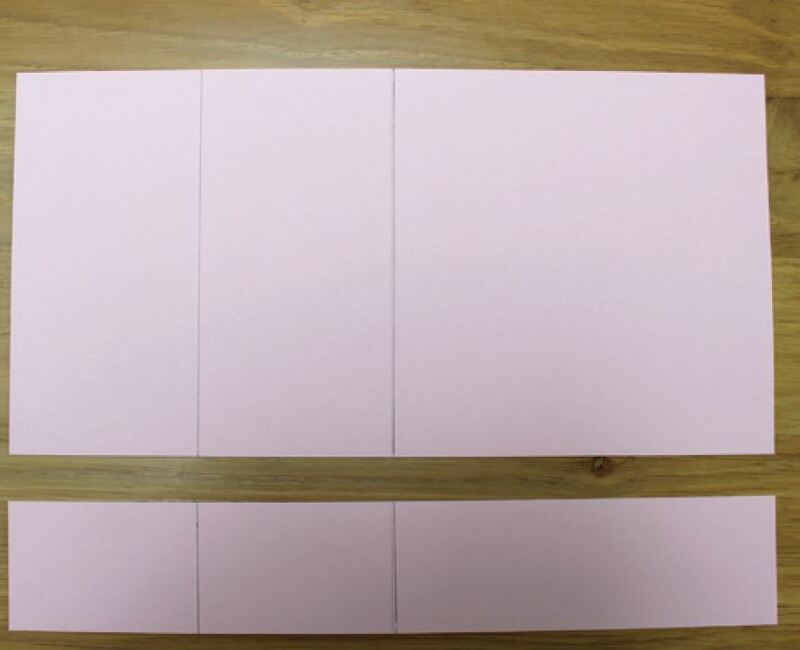 In this post we have a z-fold card tutorial, so you can add this dynamic card blank to your portfolio of cardmaking techniques. simply for a contemporary look or, with the addition of a couple of small strips of cardstock, turn a z fold card into a much more elaborate design. 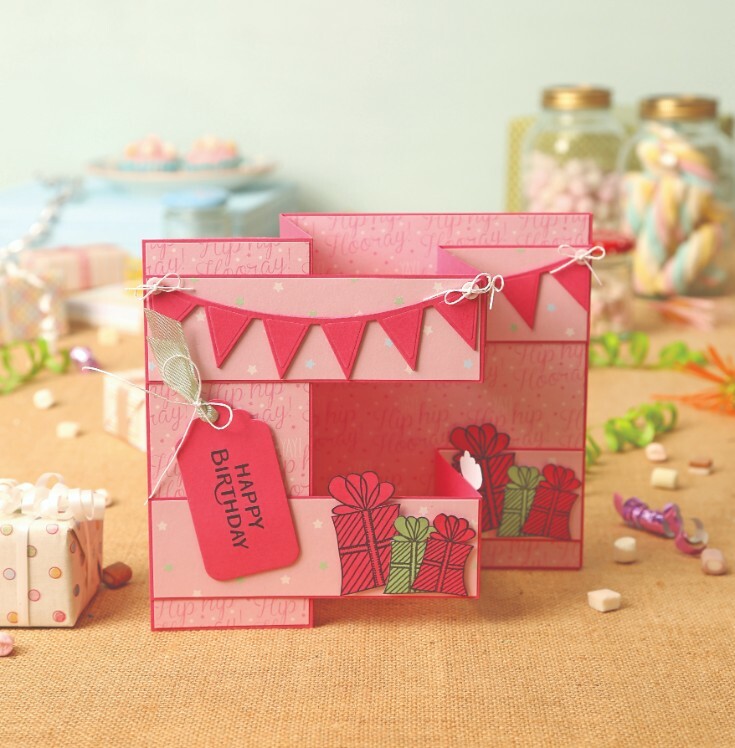 You can incorporate your dies and embellishments plus create pop-up boxes in the centre. advanced elements into your designs. 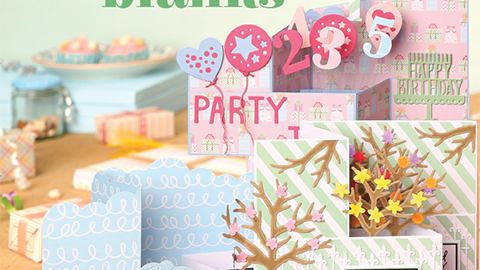 You can incorporate shaped edges by cutting cardstock at an angle, or use your dies to add decorative borders. 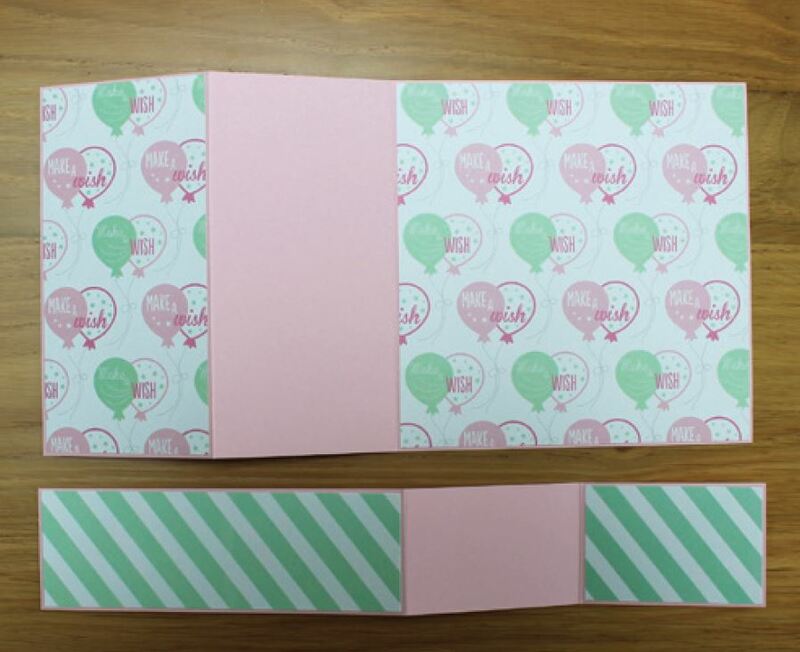 A Z fold card is suitable for young and old, male and female and can be used for all occasions. They can be bright, bold, elegant, shabby chic or vintage – the options are endless. I really enjoyed creating my Z-fold cards, gaining confidence and adding more elements as I progressed. I challenge you to follow the few simple steps required and begin creating these simple 3D designs – once you get started you will be making them for all your friends and family! 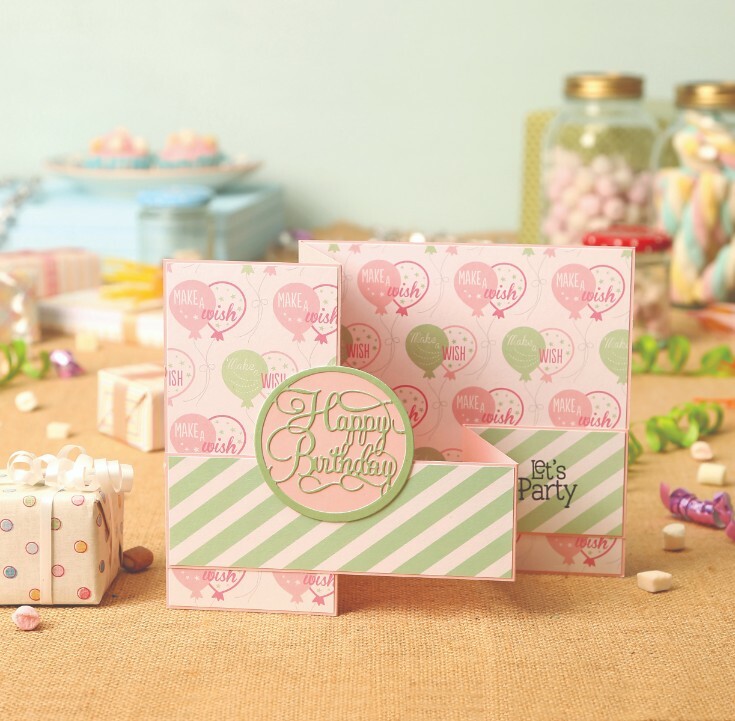 You can find all your cardmaking supplies at www.craftstash.co.uk and if you sign up to our newsletter you’ll get 20% off your first order! 1 Score a 30x20cm piece of cardstock at 7.5cm and 15cm. Trim 5cm from the cardstock to create two separate panels. 2 Valley-fold both pieces of cardstock along the 15cm score line and mountain-fold along the 7.5cm score line. 3 Cover the front panels with patterned paper, leaving a narrow border. Adhere the narrower strip to the card front to form the ‘Z’ shape. 4 Stamp a sentiment on the right-hand smaller panel, then attach the die-cut sentiment to finish. You can also try something a little more advanced like this card where we have added some interest by cutting the card on the diagonal. 1 Score 30x21cm piece of cardstock at 7.5cm and 15cm. Trim off 6cm strip to create two panels. Trim the larger piece diagonally from 9.5cm from the bottom-left corner to the top-right corner. 2 Cover both panels with paper or decoration of your choice, leaving narrow borders, and valley-fold both panels along the 15cm score line and mountain-fold along the 7.5cm score line. 3 Adhere the smaller panel to the bottom of the larger panel to form the ‘Z’-shape card blank. 4 Cut two 12.3×1.5cm strips of cardstock and score 2.5cm in from each edge. Mountain-fold along the scored lines. 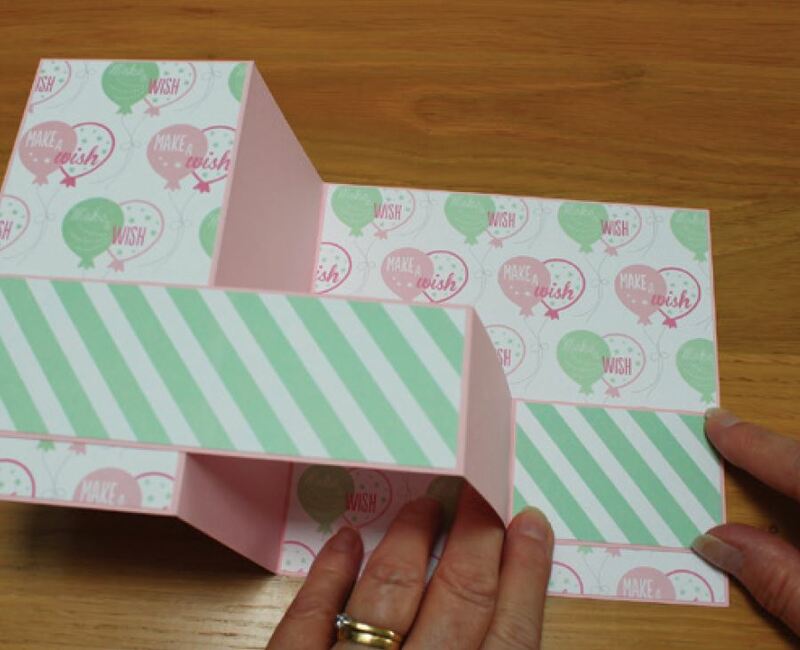 5 Attach the strips of cardstock inside the box that has formed in the centre of the card when you created the ‘Z’ shape. This gives the card stability and also gives you a strip to attach to. 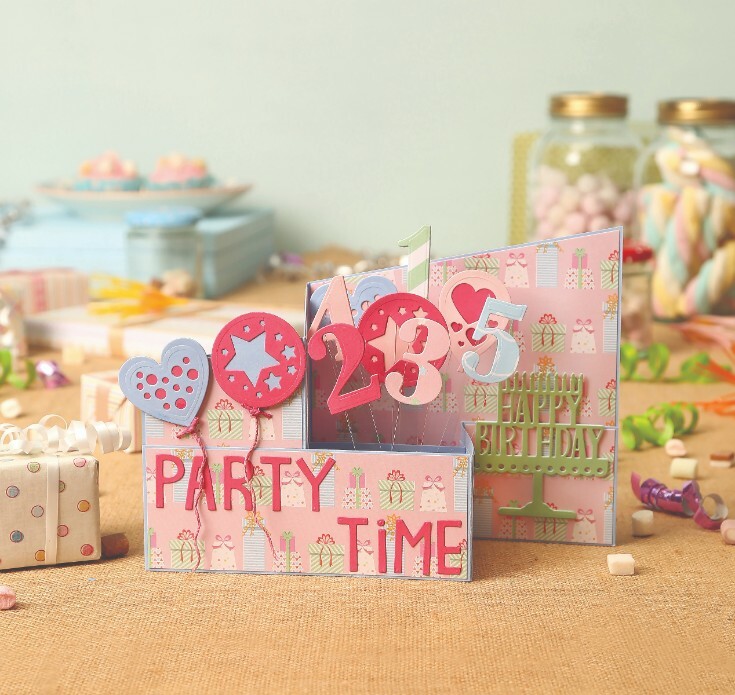 6 Die-cut shapes like balloons or numbers for a birthday card, and attach to the strips using acetate. This gives a lovely look as they appear to be floating up out of the card like balloons. You can also decorate the card with die-cuts or stamps of your choice and the addition of the card insode means you can try adding lots of different decoration to the inside – like this fun card. 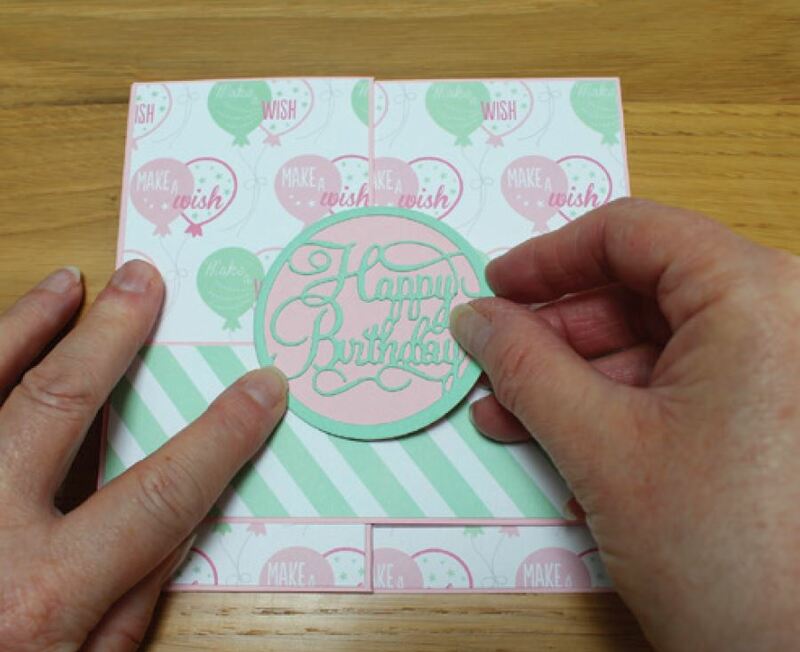 We hope you have enjoyed this z fold card tutorial, there are lots more ideas you could try using this basic construction technique – perhaps adding shape to the larger back card or even using partial die-cutting. 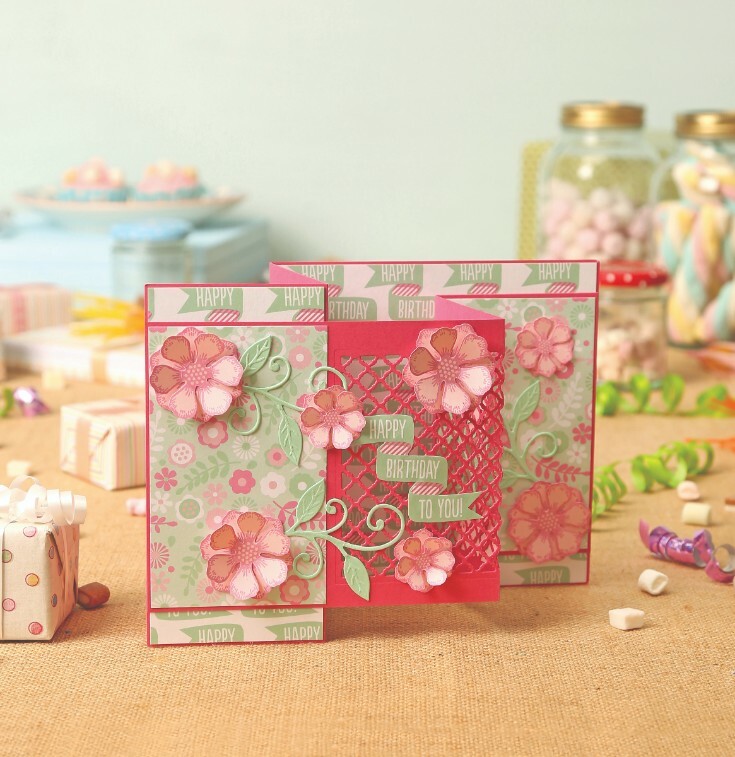 The trick to making beautiful and unque cards is to play and experiment! This card follows the same basic principle except we have used 2 front strips. In this one, instead of using a solid piece of card for the front we have used card which has been die-cut with a lattice effect die. We have created a Z Fold Card gallery on Pinterest!